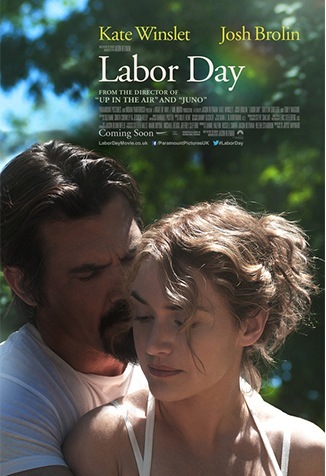 “Labor Day” is not what I am thinking about in January, but I went to the movie anyway. Adele (Kate Winslet from “Contagion”) is divorced and lives with her 13-year-old son Henry. Her husband left her for several reasons, one of them being she did not want to leave the house. On the one day a month she goes into town for supplies, she is approached by Frank (Josh Brolin from “True Grit”), who is bleeding and needs a ride. He asks nicely, with the implied threat of breaking her son’s neck. A move I never tried, but then I have never broken out of prison like Frank. Frank forces Adele to take him home so he can heal and lay low until the heat is off. Once there, he ties her up and fixes them a nice family dinner. Aside from being a convicted murderer, he is a really nice guy, a great cook and a handyman and he even teaches her son how to play baseball. This is not the kind of fantasy you normally see when a fugitive takes over your house for the weekend. But that is the kind of fairy tale novel Joyce Maynard wrote. Director/Writer Jason Reitman (“Up in the Air”) does a fine job putting this on the screen, and he milks it for all it’s worth. I do wonder what he would have done if he was not tethered to the source material. It is a lovely story, and heartwarming and all that, and I normally go for that kind of thing. But here things are just too convenient. Adele is too afraid to leave the house and she hooks up with Frank who cannot leave the house. The house needs work and he is great at that. She can’t cook and he is a top chef. The one kid who comes to the house cannot speak so he cannot tell his mother he saw the man on the TV. The one neighbor who visits brings them fresh peaches so Frank can make a pie. She wants a man to take control and Frank ties her to a chair. The other problem I had was figuring out whose story this was: a coming of age story for young Henry, which it seems the novel intended; a redemption story for Frank; or Adele’s last chance for love. They all get a little something in their imperfect world and this imperfect movie. I do not need a hero, or a happy ending, but I would like to leave a movie and not feel like I need a drink. You can file this movie in the Nicholas Sparks movie section. A little better than his worst, but not as good as his best. As for me, I wanted more, but then I usually do. I give this movie 2 ½ stars out of 5. Maybe you should wait until Labor Day and watch this one on cable.